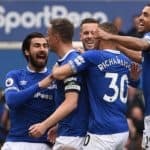 Everton extend their unbeaten run to 8 games after picking up a point in a 1-1 draw against a desperate, relegation-threatened QPR at Loftus Road. 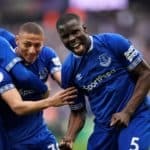 After a torrid run of form with six defeats in eight matches QPR were in desperate need to pick up points, and fast, but Royston Drenthe gave Everton the lead on 31 minutes with a well-hit 25-yard strike low drive past goalkeeper Paddy Kenny. But QPR hit back with an equaliser inside 5 minutes through Zamora´s near-post header from Buzsaky´s free-kick. From then on, the London side were on top, with both Both Adel Taarabt and Akos Buzsaky striking the post at the end of the first half as QPR pressed for a winner.